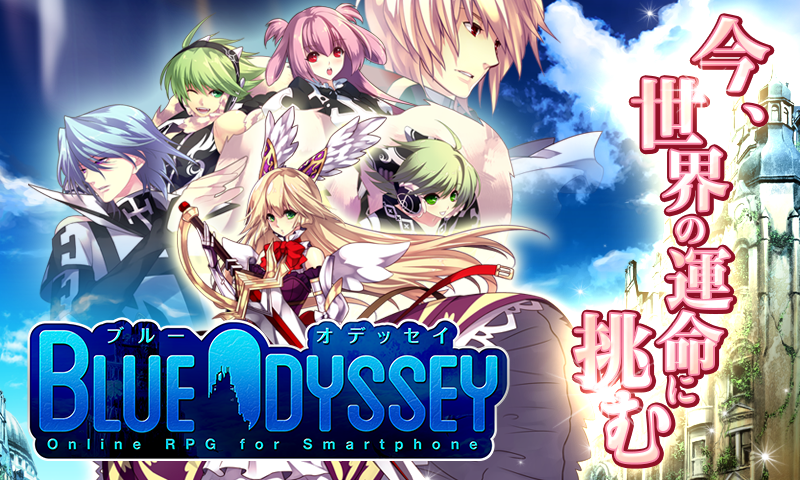 Online RPG for Android “Blue Odyssey” (Japan Only) Pre-Open β Test Begins Today! | Aiming Inc.
Online RPG for Android “Blue Odyssey” (Japan Only) Pre-Open β Test Begins Today! Aiming Incorporated announces the start of the Pre-Open β Test of its online RPG “Blue Odyssey” for Android, today, December 21st (Friday). The Pre-Open β Test for “Blue Odyssey” on Android will begin today, Friday, December 21st. This game can be played on any smartphone or tablet with an Android OS of 2.3 or higher, and the testing period shall be implemented for one week only. For a sneak peek on the cute characters of this full-fledged RPG, join the adventure today! 【About the Pre-Open β Test】 This Play Open β Test aims to confirm final adjustments to the game’s balance, server operations, and the like, in preparation for its open service which is coming very soon. 【About the Pre-Open β Test Period】 December 21st, 2012 (Friday) at 12:00～December 27th, 2012 (Thursday) at 18:00 (As scheduled) 【Game Specifications】 Any smartphone or tablet with an Android OS of 2.3 or higher. ※Plans for the iOS version release will be made after open service. 【On Player Data Migration】 We regret to inform you that player data from the “Pre-Open β Test” cannot be used upon open service. 【Pre-Open β Test Gift of Participation】 A very special in-game item shall be given to players who participated in the Pre-Open β Test, as a gift of gratitude for their hard work and cooperation. This item can be used later on during the start of open service for “Blue Odyssey”. For more details, please visit our official website. Giving shape to our idea of “interesting”. Aiming Inc. is a planner, producer, developer and operator of online games.